The UK is shifting its investment into inner regions of China and into new sectors, ahead of the curve of other nations, according to the CBI’s first ever Sterling Assets China report. In 2016, the UK was China’s second largest trading partner in the European Union (behind only Germany) and the eighth worldwide, doing £55 billion worth of trade in goods with China. Indeed, after the USA and Germany it is the only country in the list of China’s top nine trading partners not in the Asia Pacific region. 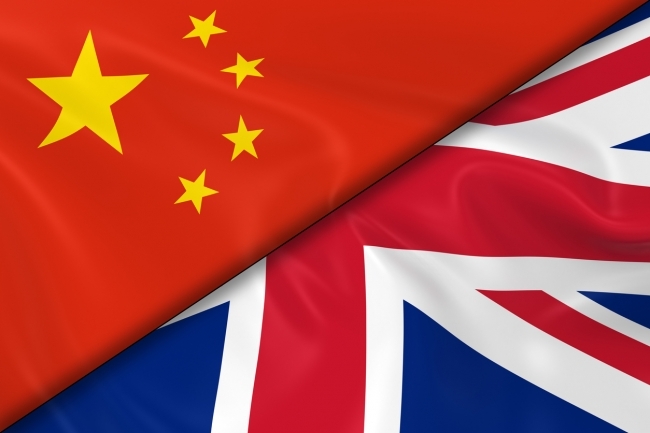 The UK also ranks eighth in terms of foreign direct investment (FDI) into China over the last decade, at £4 billion. However, unlike other nations, Great Britain is shifting its focus from coastal to inland provinces, which have historically received a smaller share of FDI, so as to mirror the Chinese government’s Belt and Road development plans. Over half (57%) of British investment in 2015 (over £880 million) went to inland regions, led by Heilongjiang (£313 million) in the north east and Henan (£276 million) in the centre. Of the £18.1 billion worth of UK exports to China in 2015, Shanghai tops the list (£4.2 billion), followed by Beijing (£2.4 billion) and Guangdong (£1.3 billion). 21% of British exports to China were in transport technology (automotive, rail, air and maritime), 12% in machinery & electrical, 8% in chemical products and 5% in metals. The UK’s top service export was travel (£1.5 billion), with 270,000 Chinese visiting the UK and 91,000 Chinese students enrolling in British universities – far more than from any other country. Guy Dru Drury MBE, CBI Head of China, said: “The Sino-British relationship is a great success story. As we delve deeper into the Golden Era of ties between China and the United Kingdom, we have so much to offer each other, and British business is keen to play its part. “From cars to chemicals, and services to schools, British organisations – especially many smaller companies – are tapping into a growing market in China, one that plays to the UK’s best competitive strengths. With the consumer market worth over £3.3 trillion, instantly recognisable British products are a particularly strong match for a growing generation of affluent Chinese. Moreover, this relationship creates thousands of jobs in the UK and China, raising living standards and boosting productivity. Dame Barbara Woodward DCMG OBE, Her Majesty’s Ambassador to the People’s Republic of China, added: “Supporting UK-based companies to invest and operate overseas and become global businesses is part of our strategy to expand mutually beneficial trading relationships around the world. This is especially so in China, the world’s second largest and fastest growing economy. “This report showcases a wide range of British investment and highlights the strengths and growing confidence of British companies. Investment in China by British companies can generate wealth for the UK, support British jobs, help build UK-based supply chains, and support China’s own economic development. Between 2015 and 2016, greenfield project investment into China exceeded £2.25 billion. The financial services sector saw the highest value investments (£488 million), followed by logistics (£292 million), consumer products (£268 million) and business services (£209 million).